In this Interview, Datta talks about this idea and the journey behind, his story, the importance of social media in today’s time, the advice he would give to all the aspiring writers and why do many engineers in India decide to switch to writing as a career choice. 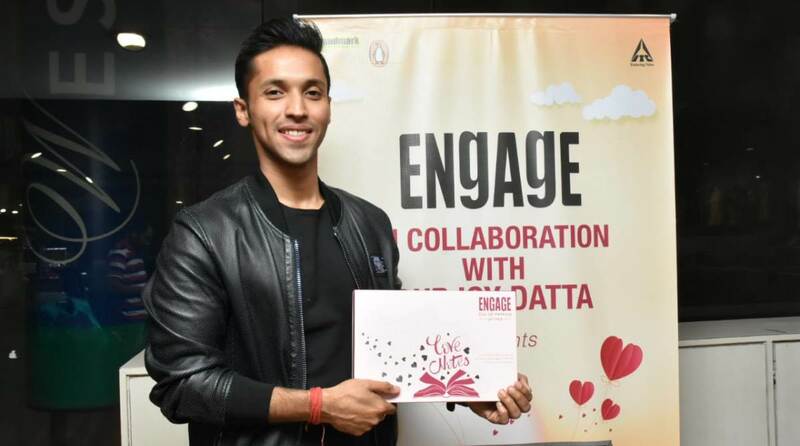 Durjoy Datta recently came to Delhi to launch a "Pocketful O’ Stories", a project that comprises of people writing stories that are 250 characters long. Durjoy Datta is an Indian novelist and screenwriter. His first novel, “Of course, I love you” was released when he was still in college. Describing himself as a reader, Datta says that he knew writing was the next step. Born in Gujarat and brought up in Delhi, Datta now lives in Mumbai. 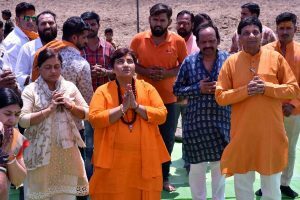 He recently came to Delhi to launch a “Pocketful O’ Stories”, a project that comprises of people writing stories that are 250 characters long with reference to Engage pocket perfumes that promises 250 sprays. In this Interview, Datta talks about this idea and the journey behind, his story, the importance of social media in today’s time, the advice he would give to all the aspiring writers and why do many engineers in India decide to switch to writing as a career choice. 1. Give a brief history behind “Pocketful O’ Stories”, how the idea came to be and the journey involved with it. Answer: It was the team of Engage pocket perfumes that came up with the idea. Their perfumes promise 250 sprays and so they thought it would be fun to compile stories that are 250 characters long. I thought it was a great idea! So I came on board and we thought it would be a cute, little project where we ask for people of their unexpected moments of love. I wrote the first 10 stories as a sort of guideline but pretty soon we realized people didn’t need it! They were writing much better than I was. We were deluged with entries. At the end of the month, we were sitting on more than 11,000 entries out of which we had to select 250. That was the tough part! So many of the stories made the cut. It took us months to sift and cull through the stories to reach the final 250. It was a humbling experience for me. Also hugely entertaining. The stories we have published are a treat to read! 2. You plan to make “Pocketful O’ Stories” bigger and better. How do you aim to do that? Answer: We are still trying to figure out the final nuts and bolts of it. We don’t want to do it exactly as we did it last time. Also, we found that last time around, we could have selected 250 more and they could have matched the book we published. So we need to find a way around to encourage the writers who should have made the cut too. In all honesty, this time was so much fun, we are only looking to ramp it up in terms of how much more fun can it be for us and the people who will contribute. I think bigger and better can follow. 3. For “Pocketful O’ Stories”, you used a digital platform to hear their tales. In today’s day and age, how important has social media become in terms of reaching the audience? Answer: The audience decides where it will interact with you and you need to adapt. If tomorrow the medium or the platform changes, you will have to change too. It’s nothing different from adapting to newer languages. You can’t keep speaking in a dead language after everyone has moved on. 4. You completed your degree in engineering and business management and then decided to switch over to writing. What made you take the leap and why? Also, why do you think a lot of writers are from the engineering background? Answer: To put it as simply, I wasn’t getting enough time to write. It was something I enjoyed and I tried to carry it on the side for as long as possible but had to choose one eventually. It helped that I had started earning a little from the writing too. And even when I took the leap, I gave myself a couple of years. I would have gone back to my old job had things not worked out. If tomorrow my books stop selling I will have to dust off my degrees and find something to do. I will still write on the side though. Also, a lot of us are engineers because we all took the decision to do engineering at a very young age and hence got it wrong. One can’t possibly know that they want to be engineers all their lives when they are 13. 5. Your first book was published when you were 21. Looking back at the experience, when did you decide to be an author? Answer: I have always been a reader, and I used to blog quite a lot earlier. So writing a book was the next logical step. Every blogger was trying to do that. I was one of the lucky ones who got published and things have never been better. I love writing and derive an unhealthy amount of pleasure from the process. Though I never thought I would get published and I would ever write a second book. 6. What has your journey been like? Tell me about your writing process and what were the struggles that most people are unaware of? Answer: I wish there were a heartwrenching sappy struggle story but there really isn’t. Since I never looked at writing as a career or looked to earn money out of it, I didn’t see anything that happened as a struggle. Everything that happened was a bonus in my head. I liked to write, and that the books were selling was an incredible fallout! My writing process isn’t fancy at all. I just sit in front of a laptop and crank out the words. I started writing when I was in college and then continued to write through jobs so I never had to luxury of developing a process. 7. A lot of authors have told me that it is difficult to survive as a full-time writer in India, how do you respond to that? Answer: There’s nothing truer than that. There are only a handful of novelists in India who can sustain through what they earn out of books alone and that can shrink any moment. People don’t read in droves as they used to so it’s tough for writers to survive on royalties and royalties alone. 8. With social media invading our lives, most of us, especially youth, have forgotten the art of reading? What is your take on that? Do you think the number of readers is decreasing? Answer: They are reading lesser and lesser but the onus is on the readers to bring them back into the fold. People have moved on to other platforms to consume content and find stimulation. That’s why a book like this is important. It’s snacky, you can read it quickly, and it can help you start a reading habit, or restart a lapsed one! 9. There are many new and upcoming authors in the country now. How do you plan to stay relevant? Answer: I don’t plan to stay relevant at all. I know I won’t be able to do that. I have always written what I have felt like and I will continue to do so. As long as there are publishers publishing my books I will keep writing. I will keep writing even after that. 10. What is the advice that you would give to the new writers coming on the scene? How should they prepare themselves? Answer: They should come with no expectations. They should only seek to enter this industry if they like writing enough to supercede everything else. Having an alternate job to pay the bills helps in a big way. You don’t write well when there are unpaid bills hanging over your head!